Our brand new story series for you little ‘uns. The funniest fiction to shiver your timbers. Little Red Robin is our new way to get small people like you excited about reading on your own. Colour pics, funny stories: we’ve made this series all-round great! In this book, the insect city of Larva Town is infested with bug baddies. 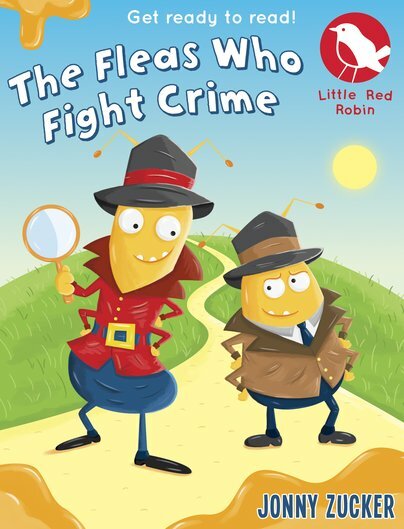 Thank goodness for Buzz and Itch: two hopping flea sleuths who mean to catch the crooks out.